You have it, your neighbors have it and your grandmas probably have it: WhatsApp. In Germany, Austria and Switzerland, the messenger service is one of the most popular smartphone applications of them all. Only in its home country, the USA, no one seems to use the app. Why? More than half of all Germans use WhatsApp. Whether for texting with friends or for promotional purposes, the Messenger app from Silicon Valley has taken Germany by storm. According to a survey by Statista, Germany is one of the countries where the service is most widely used worldwide. As you’ll notice, the US is last on this list. 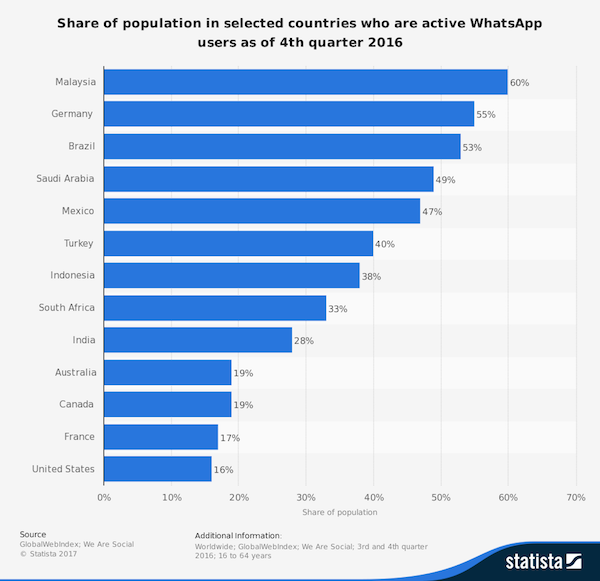 Why do so few people in WhatsApp’s home country use the service? Who is actually behind WhatsApp? 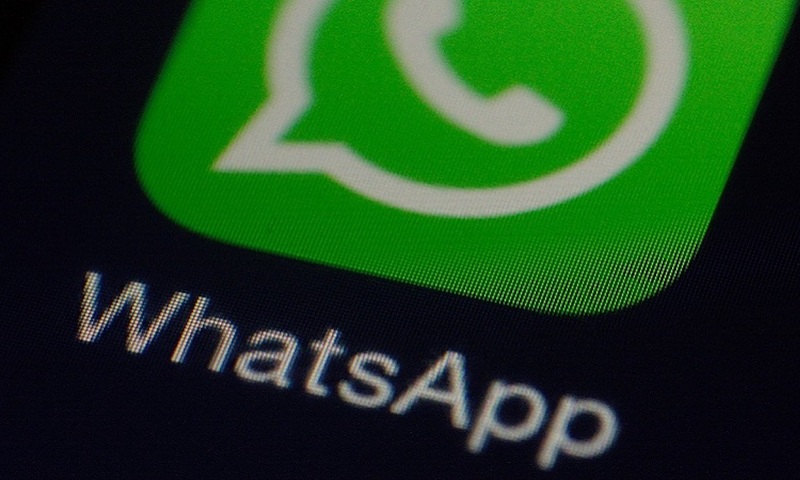 When Facebook bought WhatsApp in 2014, many questioned: who or what is WhatsApp? And why is the social media giant investing $19 billion on it? While in countries like Germany, Austria and Switzerland, WhatsApp has replaced text messaging practically over night, most Americans have never used WhatsApp. 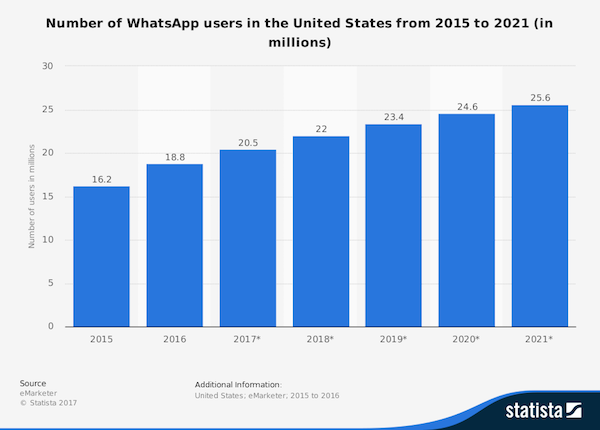 Although the number of WhatsApp users in the US is rising, the app is still relatively unknown. Why? Why is WhatsApp so unpopular in its own country? If you have a mobile phone in the US, you most likely have a mobile phone contract. Since the mobile market is a very competitive one, the offers for users are very attractive. Flat rates for SMS and free minutes are included in almost every offer. And this has been the case for many years. Unlike in Germany, prepay options were never popular or attractive and so hardly anybody in the US pays separately for each SMS. So, there is a very good and cheap messenger service in the US– your own mobile phone. In addition, the data packages in the US are expensive. So it is actually cheaper to send an SMS than to use WhatsApp. Why change? Now, of course, it is not the case that Americans do not use any messenger apps. In addition to the classic SMS, people like to send messages via Facebook messenger. With the combination of Facebook messenger and SMS, you can reach almost everyone in the US who you want to reach by text message. So, if you have Facebook Messenger and your own mobile phone provider and use these to communicate with all your friends and acquaintances, who needs a third service that does nothing different or better? In addition, users are getting tired of new apps. Their smartphone screens are already overloaded with apps. Users become more selective when it comes to downloading a new app. The fight for a place on the smartphone has become tougher, and if an application offers neither something new nor a better or cheaper service, as is the case for WhatsApp, few see a reason to download it. The only ones who actually see the benefit of WhatsApp in the US are users who have family or friends abroad. After all, the mobile phone contracts in the US leave a gap in the market that WhatsApp is filling. Sending SMS abroad or making calls outside the US is very expensive without special packages. Thus, most Americans using WhatsApp are most likely to come to the service because of family or friends abroad, but rarely from self-initiative. Speaking of initiative. There are, of course, also users in the USA who are concerned about data protection and are looking for a safer alternative to Facebook, Skype or the classic SMS. However, they do not end up using WhatsApp, which is rather questionable in terms of security, but on messenger apps like Telegram or Signal. While WhatsApp is extremely popular in the rest of the world, the service is still waiting to catch a break in its own country.